The Oil PSUs under the Petroleum Ministry of the Govt. of India have recently instructed all the Petrol Pump Retail Dealers to prepare and submit a Database of all their employees on religious, caste and creed basis. After this controversy now another big controversy revealed by DEVELOPMENT NEWS. Prior to that, OANGC Vide its Circular 2017 forced all the Petrol Pump Retail Dealers to pay the employees at a much inflated rate. The BJP Govt. thinking that the employees of Petrol Pump Retail Dealers are a big Vote Bank is a big fallacy due to the following reasons, vide its Circular 2017 the Ministry has instructed all the Petrol Pump Retail Dealers to pay wages at the following rates. When you got one Oil PSU company’s circular and its related order copy with annexure, then we started investigation on this. The wages include Basic, EPF Contribution of employer @ 13.50%, ESIC Contribution of employer @ 4.75%, Bonus @ 8.33%, EL @ 4.81%, Gratuity @ 4.81%. This is based on a false premise. EPF is applicable only when 20 or more employees are working and ESI is applicable only when 10 or more employees are working in an establishment. Gratuity is applicable only after completion of 5 years of service. 1 day’s EL is applicable for 20 days’ work for every worker who has worked for a period of 240 days or more in a factory during previous calendar year. State Govts. are appropriate Govts. in case of Petrol Pump Retail Dealers and minimum wages of respective State Govts. are applicable. The Petroleum Ministry has no legal right to fix more wages than that. It is like a house owner fixing the wages of the domestic servant of his tenants. Besides the Oil PSUs have instructed the retailers to have Pradhan Mantri Suraksha Bima Yojana (PMSBY) and Pradhan Mantri Jeevan Jyoti Yojana (PMJJBY). They have also collected Rs. 500 only from the employees in the guise of a 10 Day Skill Training Programme under the banner of Recognition of Prior Learning. The Resource Persons are less skilful than the trainees because they have years of experience working in the same field, and in many case there is language barrier and communication gap between the trainer and the trainee. Most of the Retail Dealers are evading this arbitrary fixing of wages in a cunning way. Some are taking away refund of the balance differential amount in cash from their respective employees after transferring the wages fixed by the Ministry through RTGS/NEFT. Some have even the ATM Cards of the employees in their possession and withdraw the balance differential amount. The condition of the employees in the petrol pump is no better than the older days since the EPF, ESI Contributions are either not paid or paid in an irregular manner. This component of wages, which has raised 55% more commission for retailers, and is ultimately added to the Petrol/Diesel price is an unnecessary burden on the consumer. After this we have started investigation on retail petrol pumps’ workers payment. No one is ready to tell this openly because it was strictly order by the retailers’ owner, that if anyone tells the truth on this then he or she will be no more in jobs. But in sting operation this scribe has revealed the truth from different retail petrol pump including company managed and owned petrol pump. This also creates an uneven playing field for the Pvt. Players like, ESSAR, Reliance who do not have any obligation to pay such highly arbitrary wages to their employees, but enjoy the fruit of the hiked price of oil on this account because they are not units of the Oil PSUs. As a whole this is a big fraud both on the consumers as well as the employees of the Filling Stations. The matter is so controversial that it has been stayed by Hon’ble High Court of Ernakulum and Hon’ble Jammu & Kashmir High Court. The prayer of the Govt. to shift all such cases to the Hon’ble Supreme Court has been rejected outright. The Govt. 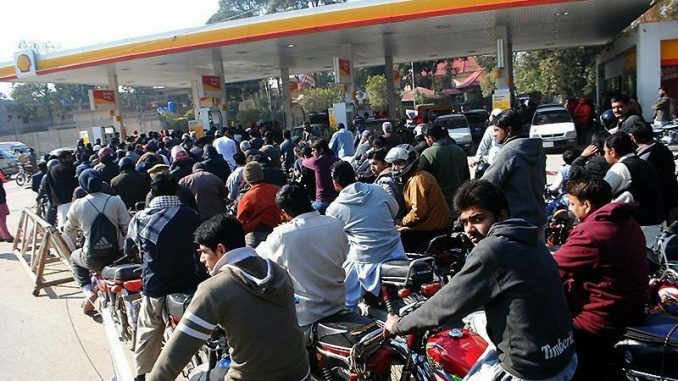 is however hell bent to implement the same through atrocious and arbitrary manner in other States resorting to bullying and blackmailing the retailers, the insiders of the Petrol Pump Association says maintaining anonymity. The Circular is against the basic spirit of Indian Constitution, which gives power to Union and State under Union List, State List and Concurrent List. Besides, the Central Govt. has no role to play where the State Govt. is the appropriate Government under the Minimum Wages Act, 1948. Hence the Circular is illegal and illogical as well as immoral and unethical. Similarly as per The Employees’ State Insurance Act, 1948: “Short title, extent, commencement and application — (1) This Act may be called the Employees’ State Insurance Act, 1948. It extends to the whole of India. It shall come into force on such date or dates as the Cen­tral Government may, by notification in the Official Gazette, appoint, and different dates may be appointed for different provisions of this Act and for different States or for differ­ent parts thereof. It shall apply, in the first instance, to all factories (including factories belonging to the Government) other than seasonal factories….” Provided that nothing contained in this sub-section shall apply to a factory or establishment belonging to or under the control of the Government whose employees are otherwise in receipt of benefits substantially similar or superior to the benefits pro­vided under this Act. The appropriate Government may, in consultation with the corporation and where the appropriate Government is a State Government, with the approval of the Central Government, after giving one month’s notice of its intention of so doing by notifi­cation in the Official Gazette, extend the provisions of this Act or any of them, to any other establishment or class of establis­hments, industrial, commercial, agricultural or otherwise: Provided that where the provisions of this Act have been brought into force in any part of a State, the said provisions shall stand extended to any such establishment or class of establishments within that part if the provisions have already been extended to similar establishment or class of establishments in another part of that State. A factory or an establishment to which this Act applies shall continue to be governed by this Act notwithstanding that the number of persons employed therein at any time falls below the limit specified by or under this Act or the manufacturing process therein ceases to be carried on with the aid of power. The Filling Stations fall under the Shops & Commercial Establishments Act, and the Minimum Rates of Wages are fixed by the State Governments in such cases. What the State Governments are doing when the Central Government is encroaching their jurisdiction through back door and enforcing a financial burden on the common man of the State in the garb of unfounded benevolence? When the Odiaa consumers are coughing up huge amount for filling petrol/diesel in their vehicles for a trumpeted cause without any tangible benefit to the employees of retailers, what the Civil Societies are doing? When shall we wake up from our deep slumber and rise to the occasion? Are we living in a feudal society? Is ‘Natural Gas and Petroleum Ministry and its Minister’ a law unto himself? Is Central Govt. the Big Brother, who can breathe down the shoulder of every citizen?